To be honest, I am not a serious cinema-goer these days preferring to watch TV Shows – seriously, am I the only one who thinks that TV Shows are better written than most movies these days? This year I watched fewer movies than ever and this is why my list is so puny. As you can see, most of them are Super-Hero-related. Not a perfect movie by any means with the portrayal of Emma Frost being extremely sexist and the treatment of PoC characters being super problematic, this is the sort of movie that I enjoyed “despite of” instead of “because of”. 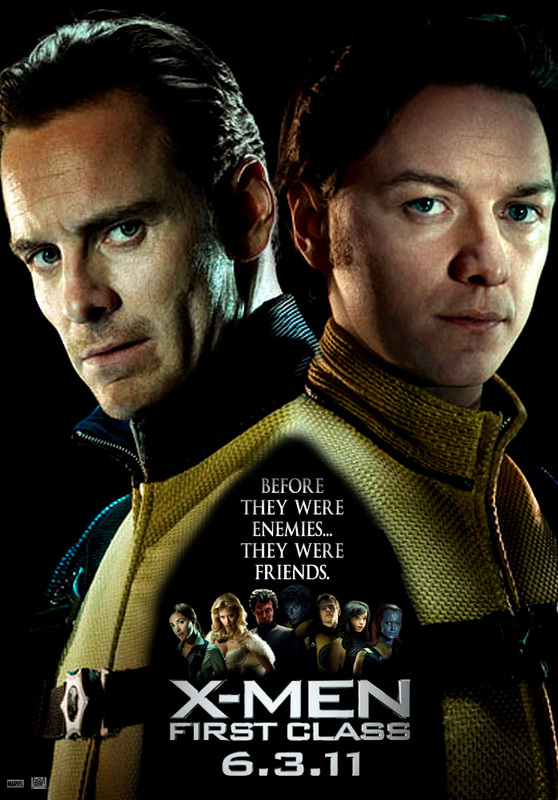 And this is mostly due to Michael Fassbender’s portrayal of Magneto. Kenneth Branagh managed to do wonders with this movie – I loved the storytelling, the special effects, the whole relationship between Thor and Loki (my favourite character in the movie. Obviously) and Hawkeye’s cameo. 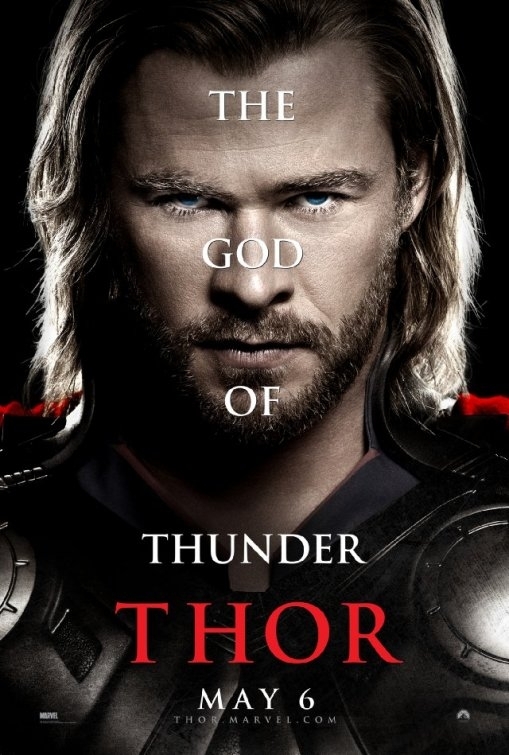 Although Thor’s redemption was ultra fast and the romance was quite lukewarm (he has zero chemistry with Natalie Portman as the leading lady), I still enjoyed this movie a lot. 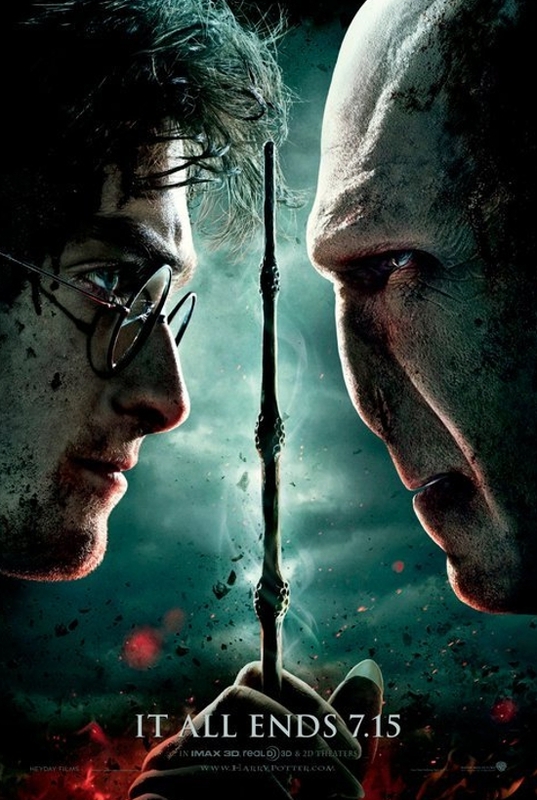 My favourite movie of the year was the last EVER Harry Potter movie. I thought it was brilliant and everything I wished for to end the Era of Awesome. All my favourite scenes from the book were there (Snape! Mrs Weasley! Neville Longbottom!) and I cried sad/happy tears when it was all over. What a way to say goodbye to Harry, Ron and Hermione. I watch FAR TOO MANY TV SHOWS. I know I do. I spend most of my free time either reading or watching TV Shows. In 2011, I discovered 3 new awesome shows, missed Mad Men terribly and quit watching three shows that I used to love (The Vampire Diaries, House and The Office – I have no real reason for quitting them other than: I was bored). I started watching Grimm but it is not really a GOOD show – it irritates me that most female characters are there TO DIE or to be kidnapped or something. I might stop watching that one pretty soon as well. A few continuing favourites were: Dexter, although this was my least favourite season of the show so far. Except for a few moments in the final episodes, the majority of the season was a snore-fest. Another snore-fest? The Walking Dead whose saving grace were the very last 5 minutes of the very last episode. Not exactly a ringing endorsement is it? Still, I will be back for MOARS next year. Other than these: Castle and The Mentalist continued to amuse me; Modern Family is still the best comedy on the small screen. Blue Bloods is cheesy as hell but I love it (please don’t judge me. I think I may have a thing for Tom Selleck’s moustache). I was taken completely by surprise by this show. I was actually expecting Grimm to be better based on the trailers but I was so, so wrong. Although I think there are some logical flaws in the story, I am thoroughly enjoying the show and have high hopes for it. I especially love Snow and the Evil Queen – who are both great characters. Another surprise was Revenge. I only started watching because many people we follow on Twitter were raving about it and its twists. And I have to say: I was glued to the TV from episode 1. It is a modern day reimagining of the Count of Monte Cristo with a female protagonist and it’s TV on crack. Seriously addictive. I am also an official shipper of Amanda and Nolan. I know, I know, I can already see my heart breaking. Epic Fantasy brought to my screen by HBO: there was no way I wasn’t going to watch it, even though I am not usually a fan of grim and gritty. I was won over by the acting (Peter Dinklage knocked by socks off), the overarching story, the politics and the DRAMA. 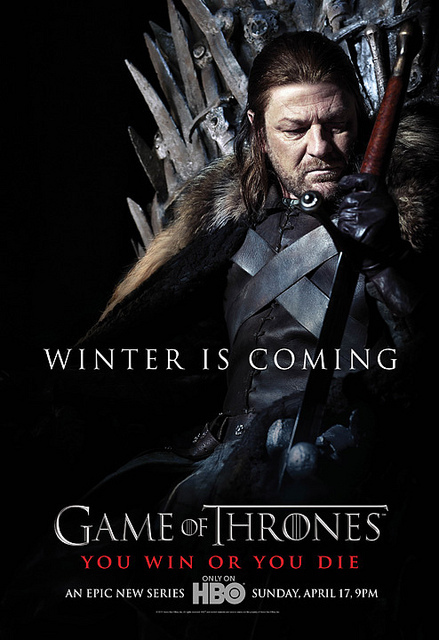 WHEN is winter coming? Confession time #1: I had not watched a single episode of Doctor Who until last year which is even more ridiculous considering that I live in the UK. SO, at the end of 2010, I vowed that I would give it a go and I did. Starting with the reboot with Christopher Eccleston as Doctor Who. Confession time #2: I couldn’t stand Christopher Eccleston as Doctor Who. Sorry, but I just couldn’t. So much so, I quit that season after 6 episodes and moved on to David Tennant. Confession time #3: I love David Tennant. I really do and his Doctor Who was awesome but OMG, everything else about the show irritated me to no end. Billie Piper. The horrible special effects. The Daleks (sorry, I simply cannot take the Daleks seriously as threats to the entire Universe). The storylines. So, I quit after 6 episodes and to be honest, by then I thought that Doctor Who was simply not my thing and decided to quit the show altogether. But then Thea insisted I gave Matt Smitth’s run a go. And folks, let me tell you: OH MY GOD. Confession time #4: I love Matt Smith with the force of a thousand exploding Tardis. His Doctor is incredible, a mixture of jovial naivety and old ruthlessness. His comedy timing is perfect and his mannerisms are everything I hoped for a Doctor Who. Thus, he is by far, my favourite Doctor but I have the impression that this is not a very popular choice? Anyways, I thought series 5 and 6 had excellent episodes and storylines. I cried, I laughed, I shipped Rory and Amy very hard and I enjoyed these hours of TV to no end. Confession time #5: My favourite thing about this current run of Doctor Who? RIVER SONG. As a female character, she is incredible and a force to be reckoned with. I love her story, her interactions with the other characters. She is hot, cool, awesome. Sometimes, I even wished she were the Doctor. OK, so. This is probably where I lose any street cred I might have but my favourite TV Show of 2011 was a BBC show for children. Based on Terry Deary’s book series with the same name, the show features comedy sketches that are both hilarious and educational, all of it based on horrible – gruesome, gritty – historical facts. The awesome thing about the show is how clever they are in using modern TV Shows as basis to make parodies from. Like for example, Historical Wife Swap (a Viking swaps his wife with his Thrall’s) or MasterChef (an Aztecan cook makes a dish using crickets, and so on and so forth). Not to mention their catchy tunes when they make songs. I have spent countless hours on Youtube watching the old sketches; I have bought the DVDs. I listen to the songs ALL THE TIME. I am a woman addicted. Dudes and dudetes, it is so good, it is the only children’s TV show to have won a British Comedy Award. I think the presenters are insanely talented especially Mathew Baynton and Jim Howick. The only down side is how I wished they had more sketches with the ladies because they are totally awesome too. And that’s it from me! Thea will be posting her own list soon. What about you? Any TV Shows and Movies that rocked your world in 2011? Do share! I agree about Grimm. 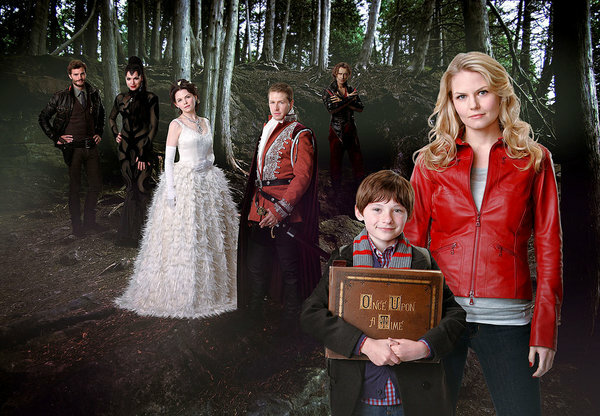 I only watched the pilot and heard from friends it didn’t get better, so I didn’t bother with it anymore :\ I’ve also been enjoying Once Upon a Time quite a bit. It’s not a favourite yet but it could become one in time, especially if they flesh out the stepmother a bit more and give her a real motivation. @Nymeth – Oh my DA season 2 rant is LONG. I think you should read The Big Gay Episode. It’s only 8,000 words! I’m right there with Ana, preparing popcorn — I failed out of Downton after TWO EPISODES. I am amazed you made it through. Oh the Avengers come to my arms I will hug you all. And yes, clearly Amanda/Nolan forever. You turned me on to Horrible Histories and I’ve imported the first season. I’m hoping to maybe even be using bits of it in school, probably with the higher classes – at least the DVD has subtitles, too ^^. No – Matt Smith is my favourite doctor too and I love series 5 and 6 the best – because I think his doctor, Amy, Rory and River are the best group yet. 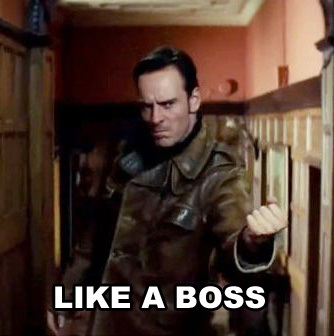 I also hated Eccleston, and while I liked Tennant at the time I got fed up of Rose. Divorced beheaded died divorced beheaded survived! 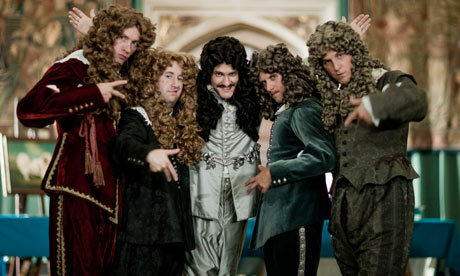 Okay, I am going to lose HOURS of my day because of Horrible Histories. After a long think my two fave shows this year were River Cottage Veg and Jamie’s Great Britain..obviously I’m additcted to food haha! I really thought Captain America was going to be as horrible as The Green Lantern, but it was so full of awesome! 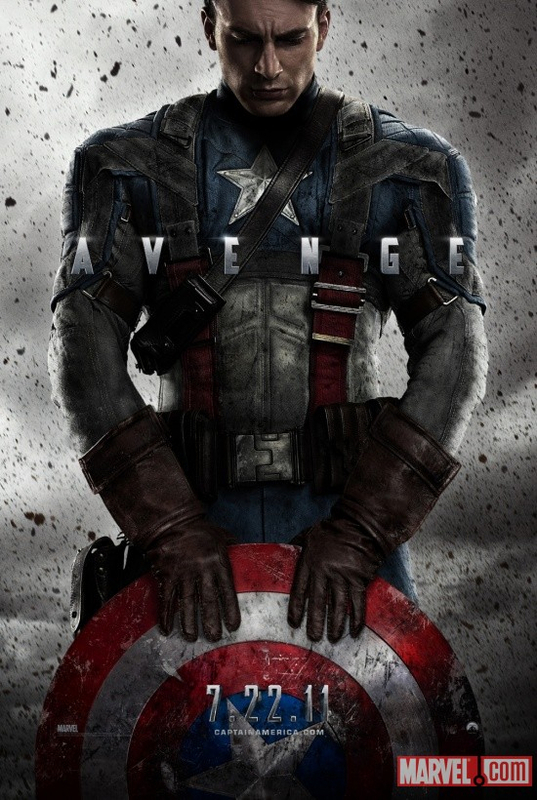 Chris Evans was wonderful and plays the more beta side to a super hero. Also loved the quick, but you’ll miss him Richard Armitage as a Nazi villain. Game of Thrones has become my crack viewing. So so good! I’m surprised you don’t have The Walking Dead on your list. That show has me scared that zombies will take over the world. YES to all of this, minus Thor which I disliked and Revenge which I have not seen yet. I’m glad to know someone else loves Horrible Histories as much as I do. As an American I have learned so much about British history thanks to that show. And for the record, Nine started out as my Doctor, but he was replaced by Matt Smith within a few episodes. Sad to say I didn’t really warm to Tennant until Series Three, but only then because of Martha and Jack’s interaction with him. I discovered Horrible Histories earlier this year. It’s incredibly addictive. After one video ends, you click the next, and then the next, and then just one more…. I thought Captain America was ten thousand kinds of awesome. And HORRIBLE HISTORIES! It is SO GOOD. I want to force all the people I know to watch it. And I am a little bit in love with Matthew Baynton. But River Song killed Doctor Who for me. I can’t like her. It’s the person who plays her. She irritates me to ridiculous levels. I just haven’t been to the movies at all this year 🙁 and so haven’t seen any of the movies you mentioned. I’m still watching TVD – what can I say, I *heart* Damon! 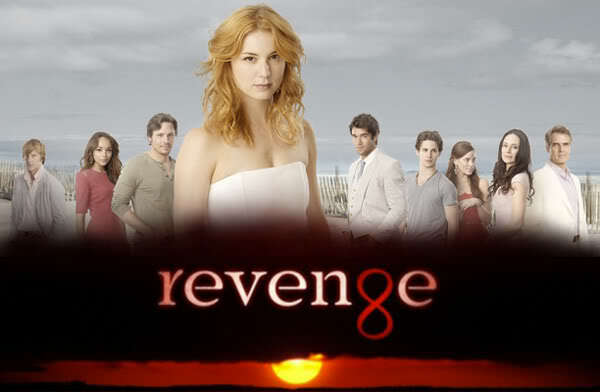 And I’ve a friend who has been raving about Revenge so hopefully it gets here soon! So looking forward to your Downton post. I can’t quite get enough of people making fun of the terrible ‘magically I can walk again, just in time to try and catch this heavy tray’ storyline. Aw, the season two finale of TVD was definitely less exciting than season one’s but I’ve enjoyed bits of this season though probably not as much as in the past. And I’m in the minority of people who really liked this season of The Walking Dead. Ana, are you not watching Community? YOU MUST.